Today, my fabulous friend Lexa took a day off work, and we went on adventure to The High Museum of Art in downtown Atlanta. The boys and I seem to have started a habit of going about once a year. 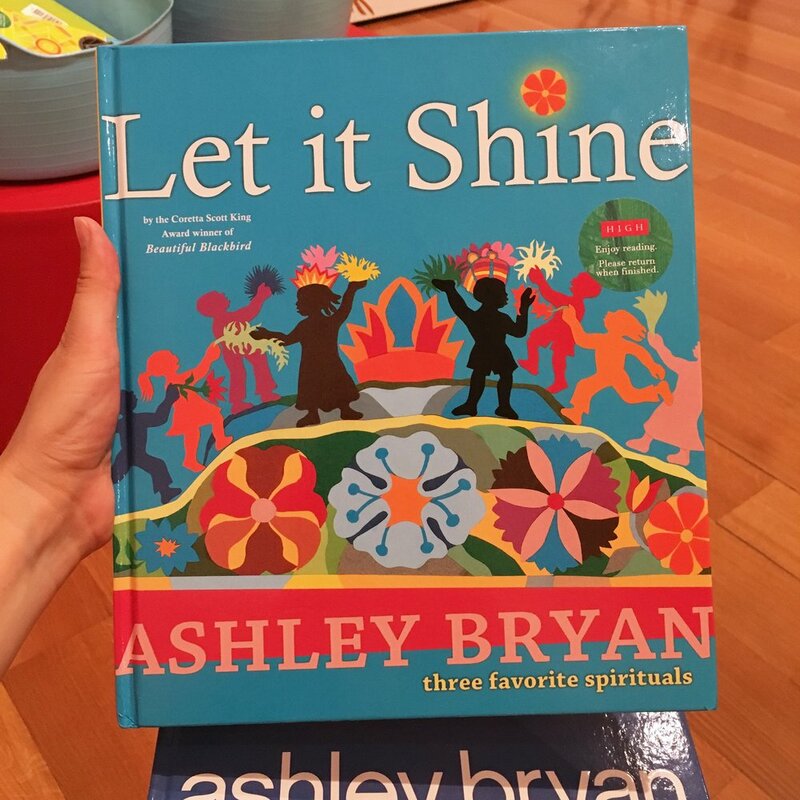 Last year we saw the Eric Carle exhibit, and this year I was keen to see the Ashley Bryan exhibit. According to the High's website, "The High is the leading art museum in the Southeastern U.S. With more than 15,000 works of art in its permanent collection, the High has an extensive anthology of 19th- and 20th-century American and decorative art; significant holdings of European paintings; a growing collection of African American art; and burgeoning collections of modern and contemporary art, photography, folk art and African art. The High is also dedicated to supporting and collecting works by Southern artists." I have been visiting the High just about as long as I can remember. Each time I visit, I enjoy not only the temporary exhibits, but I also find new gems in the permanent collection. Ashley Bryan is an African-American author and illustrator. He was born in NYC in 1923 and is a lifelong creative. He attended school for art, but was not published until 1962 when he became the first African American to be published as both author and illustrator. He has many awards and recognitions as both a scholar and an artist. Today, while visiting the museum, I was able to watch part of a recorded interview with Bryan. He emphasized the importance of encouraging a child's creativity. He also encouraged young artists to seek out supportive and encouraging voices. I learned about Ashley Bryan's work through his books, many of which include his paper cut collage illustrations. As is often the case, his books are stunningly gorgeous, but they didn't do his work proper justice. It was a marvelous treat to see this exhibit today, and I can't wait to get a couple of his books for the boys! Lexa and I also enjoyed the permanent collections at the High today. 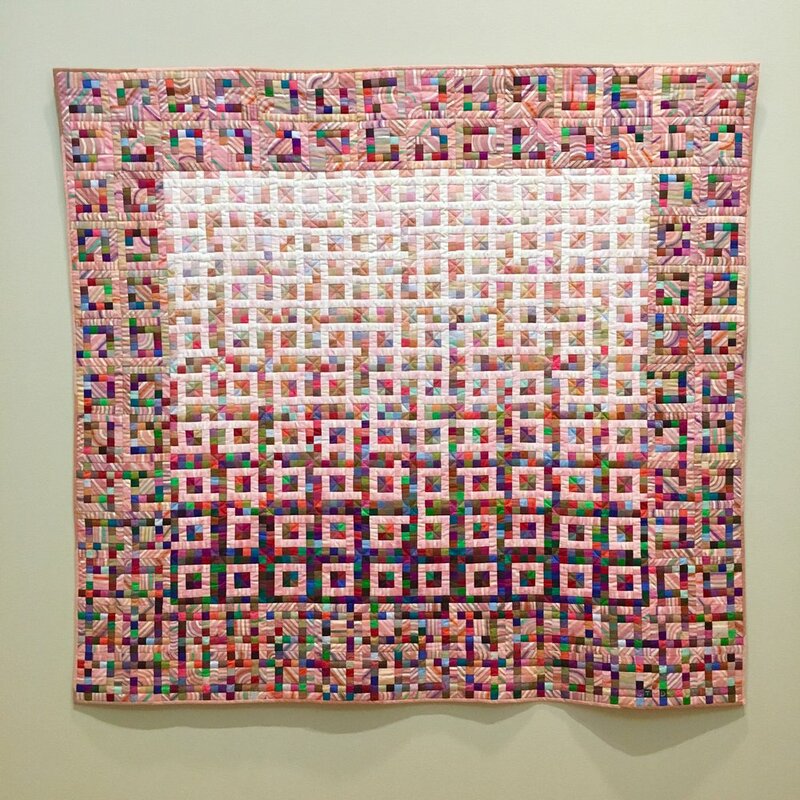 While I grew up mostly in love with the Impressionists and the Hudson River School, my dive into quilting has increased my passion for folk art. We also enjoyed the contemporary art collections-- which included everything from painting to fiber art to benches featuring back lit slides. I'm glad the High's collections include all different styles of work! Part of Molly Hatch's breathtaking Physic Garden installation. If you haven't listened to her interview on Art for Your Ear, add it to your list for this weekend! SO GOOD! We had a fabulous visit, and if you are in, near, or passing through Atlanta, I highly recommend a stop at the High. You can find them on Instagram @highmuseumofart to stay up to date on the latest exhibits (Andy Warhol coming soon!). You can follow me on Instagram as well @stringandstory to see my posts for #100ofstringandstory, #missingmarket, and other shenanigans. I've started updating my Instagram stories more, too, so you can see some of my "behind the scenes" adventures as a mama of two little boys. Finally, don't forget to sign up for my newsletter! I'll be announcing our giveaway winner tomorrow morning! Have a creative weekend, everyone!